A few months ago, I met Kathleen Brooks at a Centre College alumni author event. Today I’m happy to have the author here to talk about her romantic suspense novel, A Bluegrass State of Mind. In addition to attending the same college and being a fellow Kentucky author, I was surprised to find how much we are alike. From the quirky characters in our fictional small southern towns, to both wanting to live in Charleston, South Carolina, to...well, this is her interview, so I’ll just say that after each of her answers, I found myself saying, oh my gosh—me too! See where the USA Today Bestselling Author Kathleen Brooks began! This is the first book in Kathleen Brooks' Best-Selling Bluegrass series. McKenna Mason, a New York City attorney with a love of all things Prada, is on the run from a group of powerful, dangerous men. McKenna turns to a teenage crush, Will Ashton, for help in starting a new life in beautiful horse country. She finds that Will is now a handsome, successful racehorse farm owner. As the old flame is ignited, complications are aplenty in the form of a nasty ex-wife, an ex-boyfriend intent on killing her, and a feisty racehorse who refuses to race without a kiss. Can Will and McKenna cross the finish line together, and more importantly, alive? Let’s get right to it. What do you like best about writing? I love getting lost in my imaginary world of Keeneston, Kentucky. I hate that I sometimes get totally lost in the writing and let the laundry and dust pile up. I begin by creating an outline that lays out the beginning, middle and end. As I'm writing, I let the characters take over. Characters really do make the best writers! What about cover art--I found my cover artist online and worked with her to produce the front and back book covers. Did you have any say in your cover art? Yes, I hire my own cover artist. Her name is Calista Taylor, and she is wonderful. We work together to find the right combination that really embraces the story within. We laugh and have a great time with the process. This part is very exciting because you know it is getting very close to release at that point. You’re so right. I was so excited to see the first draft of my cover, because it was like seeing the face of my “baby” for the first time. When you start a new book, do you know what the entire cast will be? 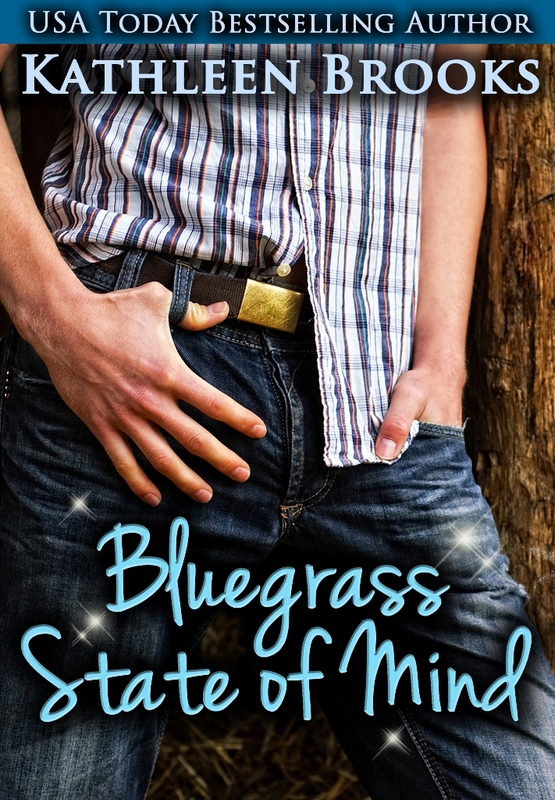 Yes, Bluegrass State of Mind is the first book of the Bluegrass series. Each of the books is set in the same town, so many of the secondary characters appear in each book. Also, as a reader, I always wanted to know what happened to my favorite characters after the book was done. So I always include updates on couples from past books in each new release. There are always new characters brought into the new stories, but they are all created before I get into the writing process. Again, I totally agree. I’m constantly on the lookout for new names. How do you name your characters? Here in Kentucky, you get a variety of different names. I have tried to infuse that in my stories. My main characters all feature first names that I personally like. To get the last names, I typically look through online sources to find the best combination. But the most fun is picking Southern names and nicknames. I have several double first names that seem to just roll off the tongue. The nicknames are a result of funny life experiences. Ditto, ditto, ditto! Tell us about your favorite scene in the book. I really enjoyed creating the scenes at the Kentucky Derby. It was so much fun to create a scene for the readers who may never get to experience the real thing. Well, as a Louisvillian, the Kentucky Derby holds a special place in my heart. Is there anything in particular that you do to help the writing flow? Music? Acting out the scene? Long showers? Yes, I have a playlist of music that is upbeat rock music. I also have to call my husband in to work out fight scenes and mental blocks during writing. He never knows what's about to happen when he walks in the room! I absolutely love living in Central Kentucky. But if I had to select a second place to live, I would choose Charleston, South Carolina. I visit the area often and absolutely love the local food. This history of the city is well preserved and celebrated by the residents. The Southern flare is definitely a big plus for me. And you can't beat being so close to many wonderful beaches! Last question--what are you working on now? I am currently working on my sixth book (the third in the Bluegrass Brothers series). It does not have a title right now, but will soon. I am anticipating a January 2013 release. I know your fans are excited to hear that! Thank you so much for talking to me today, Kathleen. I just want to mention the 12 Days of Christmas Giveaway that Kathleen is sponsoring. Each day will feature different prizes which will be announced in that day’s post on her blog. Kathleen is giving away tons of books donated by some great authors. Prizes range from e-books, signed books, gift cards, and more! Visit Kathleen’s blog for the rules and more information, and the promotion is running on her Facebook page. 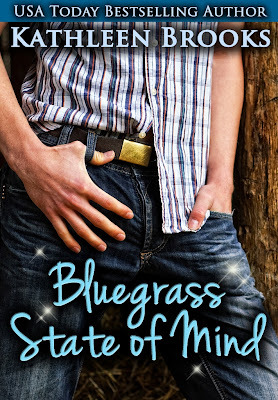 Kathleen Brooks has garnered attention for her debut novel, Bluegrass State of Mind, as a new voice in romance with a warm Southern feel. Her books feature quirky small town characters you’ll feel like you’ve known forever, romance, humor, and mystery all mixed into one perfect glass of sweet tea. Kathleen is an animal lover who supports rescue organizations and other non-profit organizations whose goals are to protect and save our four-legged family members. 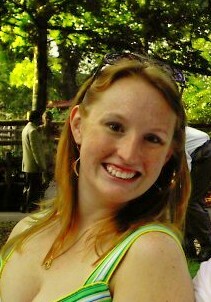 Kathleen lives in Central Kentucky with her husband, daughter, two dogs, and a cat who thinks he’s a dog.